Beleshka beats paper. The easiest way to take beautiful notes on Apple iPad. 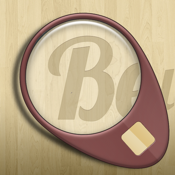 Beleshka is a note taking app designed for ease of use and editing speed. Documents are made out of text and objects of any size, shape or orientation. Objects can be drawn free or with shape recognition. Small objects can be combined into larger ones and resized or rotated at will.